I’ve never been much of a Dickens’ fan. Yes, I have a seasonal obsession with “A Christmas Carol”, but other than that holiday classic, the only other Dickens’ work that I have ever felt any affinity towards is “Great Expectations”. Spoiler alert ahead for anyone who has somehow managed to avoid reading this classic story or seeing one of the many film adaptations. The story of “Great Expectations” begins in a graveyard as a young orphan boy named Pip is visiting the graves of his mother, father, and siblings. It is in this graveyard that he encounters an escaped convict named Abel Magwitch. While Magwitch is eventually recaptured and returned to his prison ship, it is not before Pip presents a gift of some food to the obviously hungry man. Years later, Pip receives news that he is to receive a large sum of money from an anonymous benefactor, allowing him to become a gentleman in London. 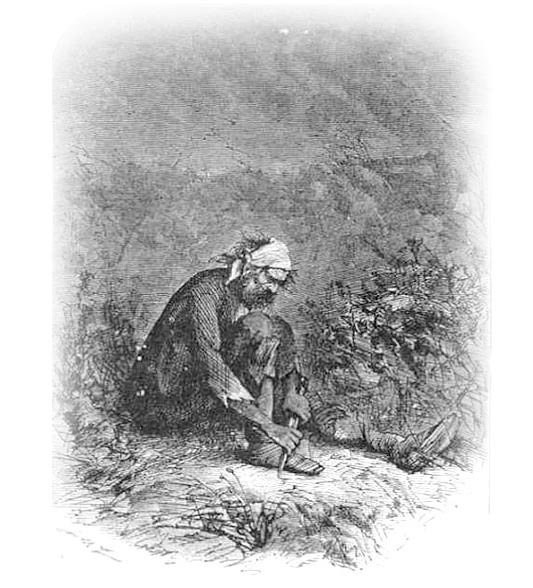 It is later revealed that this mysterious benefactor is none other than Magwitch, the convict to whom Pip once extended a small kindness. 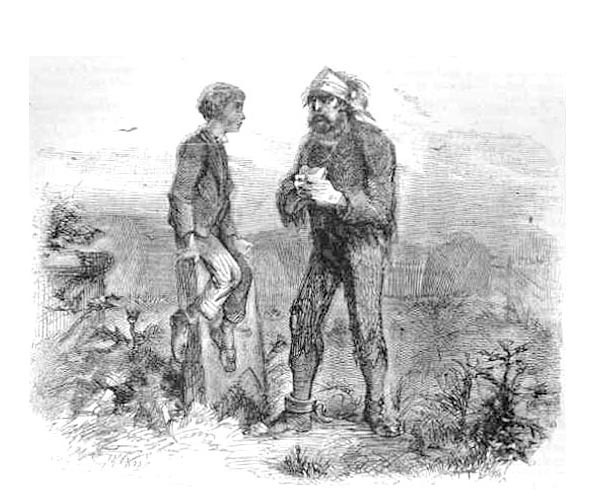 This greatly simplified version of the story leaves out many other intrigues, betrayals, and twists – after all, this is a Dickens’ novel, but the reveal of Magwitch as Pip’s benefactor is the piece of “Great Expectations” that has always stuck with me. It took me by surprise when I first read it years ago, and today, it provides an excellent lesson for this article. In life, and in business, you never know who your benefactor will be or when a relationship or exchange from long ago will play a role in your present day. I was recently contacted by a company in need of a website redesign. Not an unusual occurrence, I take calls like this at Envision all the time. What made this call interesting is when I asked where the caller had gotten our name and number. I was told that the information had been passed to him by a friend who had spoken to us about website work in the past. This is also not unusual. I am proud to say that the quality of the work that we do for our clients often leads to referrals, but in this case, the name he gave me was not familiar. It took me a few minutes to place that name and when I did, I realized why I had not immediately recognized it. The person who had made this referral was not actually one of my clients. In fact, after speaking with this company about their website needs, I quickly realized that we were not right for them. We were outside of their budget and not a fit for their project. Still, even though I knew that there was no business there to be had, I tried to be helpful. I answered all their questions, educated them the best that I could, and eventually made a referral to another agency that I thought would be a better fit for their needs. They thanked me for my time and went on their way. I hadn’t thought of that project since. Returning to my present conversation, I mentioned that I was grateful for the referral, but I found it surprising since we had been too costly for this caller’s friend and we had ended up not working together. The caller acknowledged that he knew that, and he told me that his friend had been incredibly impressed by our patience, knowledge, and assistance - even when we realized that we would not end up doing any work for his company. It was the efforts that we made to help him out after he told us we were well outside of his budget that made him realize what a great group we were. That is why he made the referral. This story has a very happy ending. While we may not have been a fit for that first company awhile back, we were indeed a fit for the organization to whom he made a referral. Their project was a perfect one for us and their budget was right in line with what it would cost to execute that project. As we kicked the engagement off, I couldn’t help but think about how it had all come about. I had answered a few questions, trying to be helpful and considerate. I did this not because I thought I would get something in return. On the contrary, I expected nothing to come out of that call. I did it because it was the right thing to do. 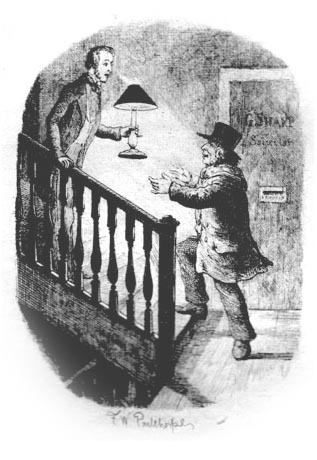 In “Great Expectations”, Pip similarly does not expect anything in return from the convict that he feeds. He extends this kindness simply because he sees a soul in need and he has the power to help. All that comes after is thanks to that act of selfless generosity. The morale of this story is not “be nice to others because one day they may be able to help you.” The true lesson here is “be nice to others because it is right thing to do." When someone crosses your path in business or in life, help them if you can. Do so without having any “great expectations” for what they will do for you in return. Instead, just have “great intentions". Oftentimes, the only reward you will receive is the knowledge that you did what you could to help another – but sometimes, as in the story of Pip and his benefactor or me and my new client, you will be surprised. After all, you really never know when someone to whom you have extended a courtesy or a kindness will come back into your life in a most unexpected way.